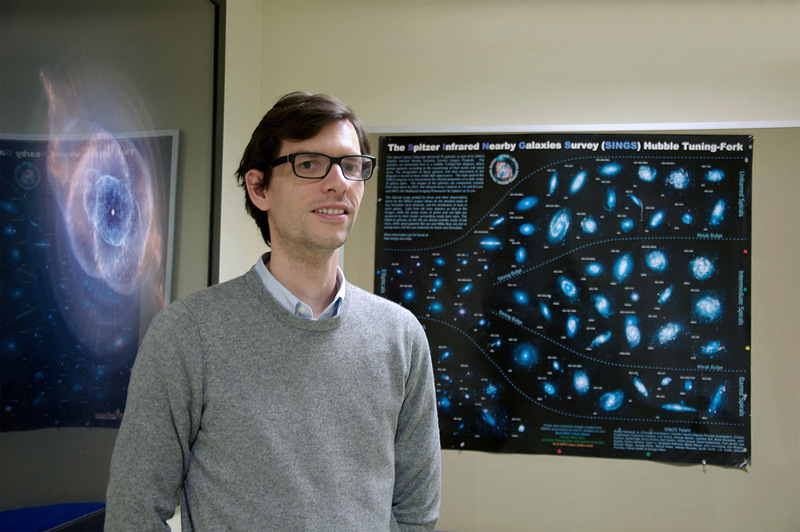 For his work in probing the nature of our home galaxy, Jo Bovy, an assistant professor and Canada Research Chair in Galactic Astrophysics in the department of astronomy and astrophysics at the University of Toronto, has won the Helen B. Warner Prize for Astronomy. “It’s rewarding to see my approach for interpreting large data sets appreciated in this way by the community,” says Bovy. Bovy joined U of T in 2015, after a postdoctoral position at the Institute for Advanced Study in Princeton, N.J.. He was the recipient of a Sloan Fellowship in 2016. In his career, he has developed innovative techniques for analyzing the vast amounts of data generated by today’s large astronomical surveys, and he has used those methods to study the structure, dynamic nature and evolution of the Milky Way Galaxy. Bovy’s current focus is to use observations made with the European Space Agency’s Gaia space telescope, which is mapping with unprecedented accuracy the positions and motions of over a billion stars in the Sun’s galactic neighbourhood. His goal is to use Gaia data to learn more about the dynamic nature of the galaxy’s spiral arms and its interactions with other galaxies. “Jo is bringing new methods to the analysis of the motions and spectra of stars,” says Ray Carlberg, chair of the department of astronomy and astrophysics in the Faculty of Arts & Science.